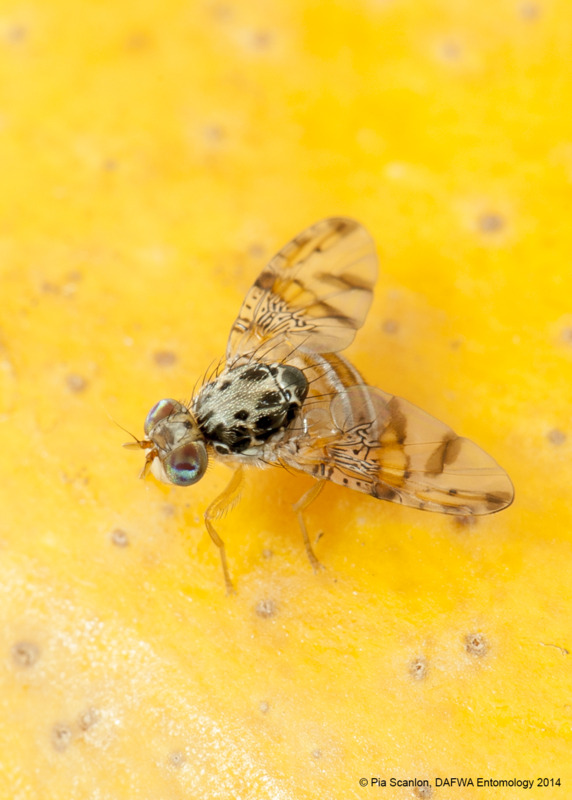 Mediterranean fruit fly (Medfly) requires a suitable host fruit in which to lay eggs for the larvae (maggots) to develop. 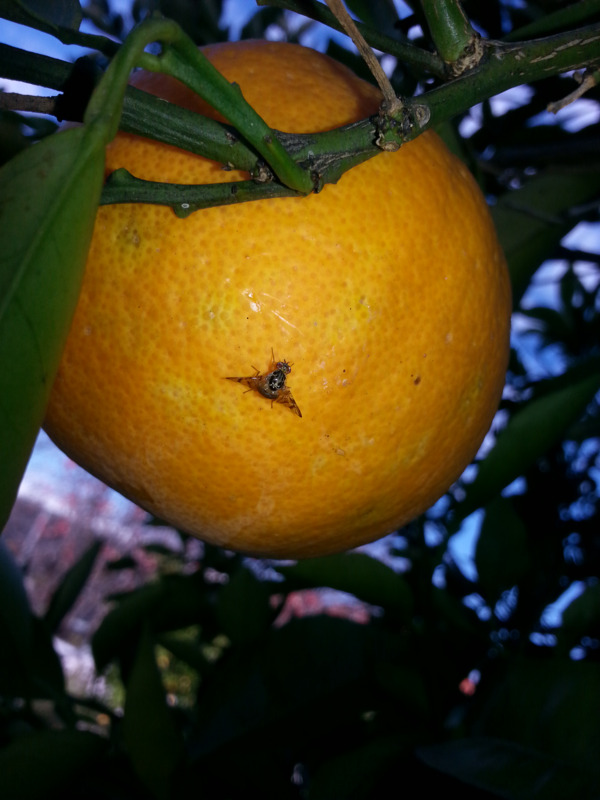 If there are no suitable host fruits available, the adult fruit fly cannot lay eggs and the breeding cycle is broken. By removing and destroying infested fruits, further development of eggs and larvae is prevented. This also reduces the number of fruit you have to protect with other measures, thereby reducing control costs. correct disposal of reject fruit from grading/packing. All growers should review their orchards each year. It is recommended that stray trees along fencelines, around sheds or other buildings be removed, along with uneconomic trees. 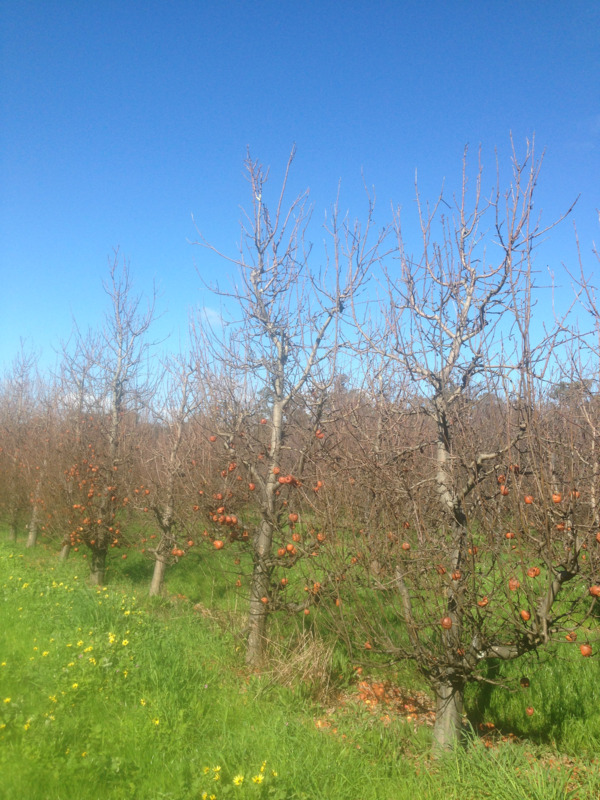 For stone and pome fruit orchards, citrus trees are the biggest risk as they offer overwintering ‘bridges’ for Medfly, providing shelter and host fruit during the cooler months when deciduous trees are dormant. It is highly recommended that pome or stone fruit growers do not grow citrus on their orchards unless they are grown for commercial reasons. Growers should also remove unwanted trees from within commercial blocks. For example, a single peach tree growing within a nectarine block can be a significant source of Medfly later in the season. Non-commercial trees must be included in your Medfly control program. Any susceptible fruit must be removed and suitably disposed of, or destroyed in situ, on a regular basis during the season. This should be carried out weekly as a minimum. Any unwanted fruit left on the trees after the final harvest should also be removed and disposed of immediately following final harvest as research has shown that these fruit often become infested. Apples and persimmons in particular, are very good overwintering hosts for Medfly as they can hold their shape for over five months. Soak fruit in a vat of water topped with kerosene, to cut off oxygen transfer for four to five days, then bury. Cook or puree the fruit (small quantities only). Freeze or store in a coolroom (below 0°C) for at least 20 days. Deep burial — must be greater than 1m deep and covered immediately. Mulch the fruit in the rows using a slasher or flail mower. Check while you are doing this that the fruit is being well mulched. 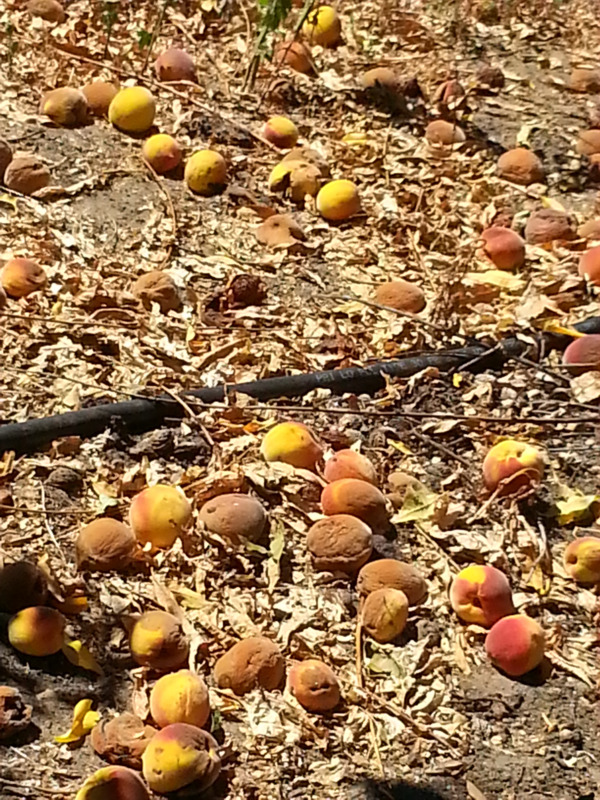 Use poultry to clean up fallen fruit, but check their effectiveness over the entire orchard. Not all fruit that is harvested makes it past grading standards, and significant quantities can accumulate daily from a grading/packing line. You must dispose of this fruit. Rejected fruit should ideally be disposed of daily. Reject fruit can be disposed of in a similar way to fallen fruit. If you are going to mulch, spread the fruit out thinly and ensure it is mulched well. This is best done away from the orchard if possible. If this is not possible, put extra monitoring traps around the area where you destroy the fruit to check on the effectiveness of your treatment.